Get up to 7 free auto shipping quotes from the largest, most trusted Minnesota auto transport companies and save up to 50% on your car shipping rates at CarMoves.com. Car shipping companies in Minnesota compete for your business, which is how you can save hundreds, if not thousands of dollars on car transport services by shopping with us. Whether you're shipping a car to Minnesota, across the country, or even overseas, we can help you get the best price on your shipment - guaranteed! Read more about the following auto transport companies in Minnesota before getting a quote. Click on the name of the company to read a full review. Jayhawk Auto Transport Jayhawk Auto Transport has one of the cleanest reputations in the auto transport industry, with an A+ rating from the BBB. Their services are designed to be easy for customers, as they provide door-to-door transport for their convenience. However, the company does note that smaller trucks may use local terminals. 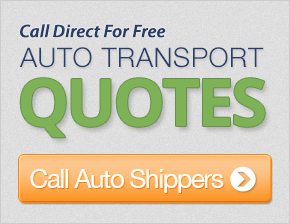 Get a free auto transport quote today to find out how much it costs to ship a car to or from Minnesota! The amazing scenic outdoors of Minnesota attract numerous people from around the country who appreciate the state's plentiful activities. Known colloquially as the "Land of 10,000 Lakes," Minnesota is actually home to well over that number of lakes, and borders the vast Lake Superior. The Mississippi River originates in the state, and the Minnesota River, which cuts a large swathe through the southwestern portion of Minnesota, flows into the Mississippi just south of the Twin Cities. The Twin Cities area, which consists of both Minneapolis and St. Paul, is an integral part of Minnesota and the largest population center in the northern US west of Chicago and east of Seattle. Minneapolis is Minnesota's largest city, and a major place of business. St. Paul is the state capital, and the site of many cultural attractions, including the Minnesota State Fair and the Minnesota Wild hockey team. Bloomington, a suburb of the Twin Cities, has long held national acclaim as the site of the Mall of America, the world's most visited mall. Minnesotans have a reputation even among Midwesterners for being particularly nice. Their polite, strong knit communities are held, in part, together by a shared heritage and faith. 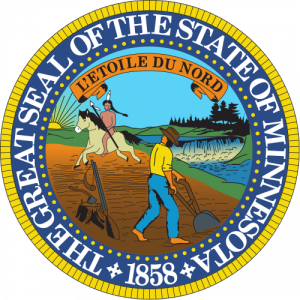 Predominantly, most Minnesota residents hail from northern Europe and practice the Lutheran religion. They have transplanted a variety of Norwegian cuisine and culture to the country, including lutefisk, pasties, sausage, and the practice of ice fishing. CarMoves.com works with car shipping companies throughout the state of Minnesota. We can help you get the best prices on car transport services to the following cities in Minnesota: Minneapolis, St. Paul, Rochester, Duluth, Bloomington, Brooklyn Park, Plymouth, St. Cloud, Eagan, Woodbury, and many more. If you don't see your city listed, don't worry - we can get your vehicle shipped anywhere in Minnesota. Scroll to the quote section on this page to compare free auto shipping quotes from up to 7 Minnesota auto transport companies and save up to 50% on your move! View the Minnesota Department of Transportation website for more information.